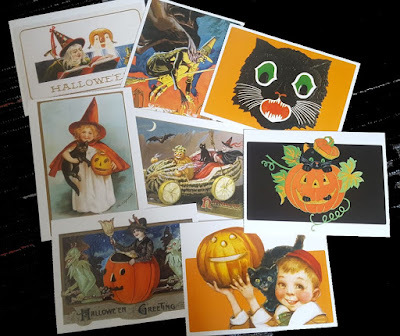 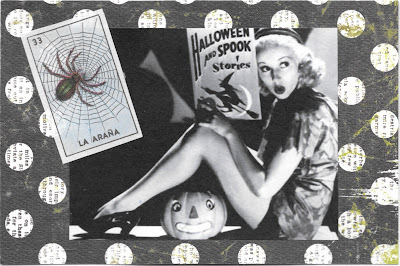 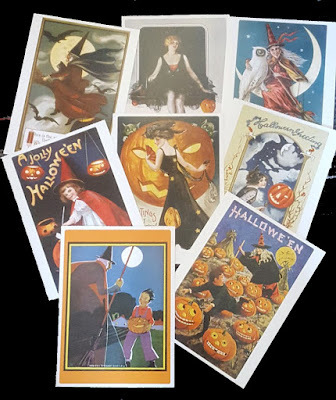 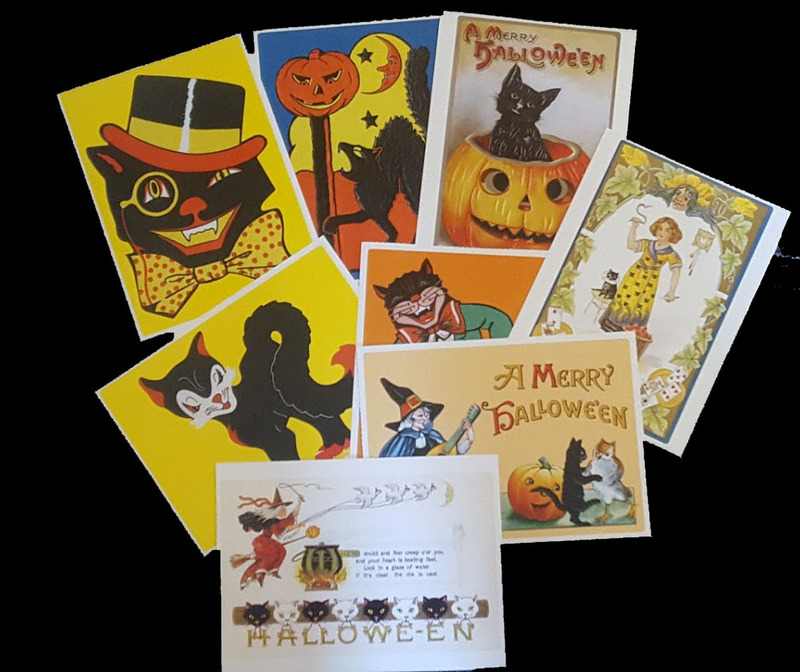 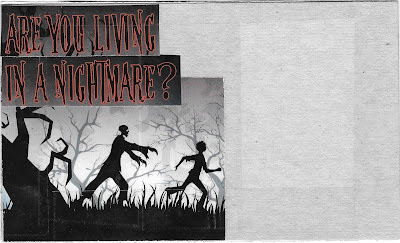 Some Halloween postcards with vintage images I sent out to the participants of the MMSA swap I recently hosted. 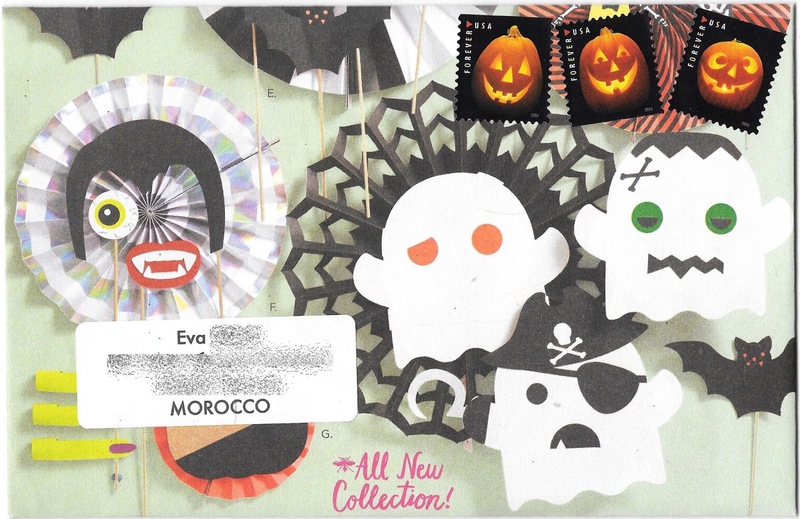 USPS issued their first Halloween stamps ever. I am surprised they haven't cashed in on this very big tradition before - I'll be interested to see if they continue with Halloween issues in the future. 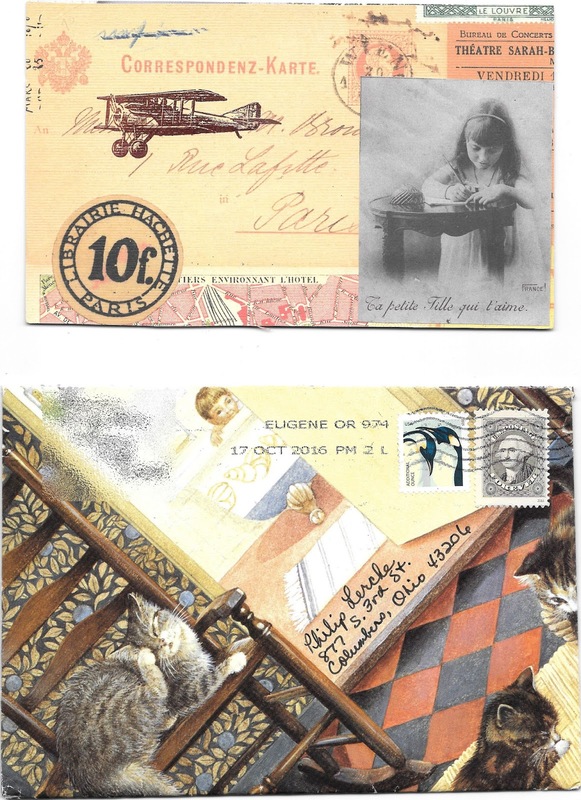 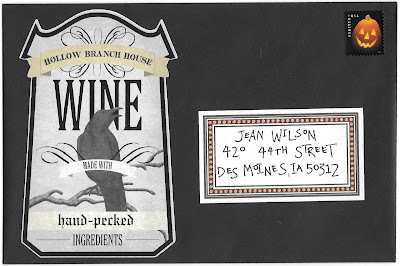 I used them on stamps for Jean's October exchange on homemade envelopes 831 and 832, with a bonus envelope 830 to Eric. A great spider, and an unusual white on black letter from Eva. 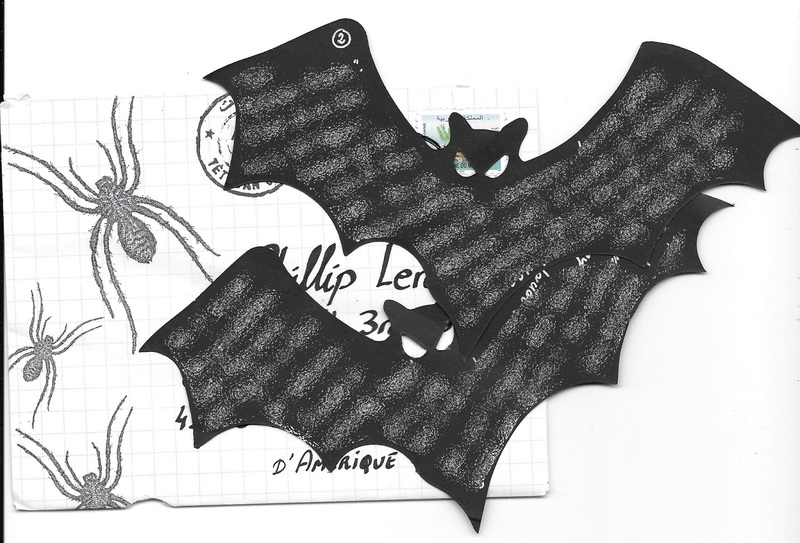 And a second spidery envelope containing this fab letter written on bat paper. A bonus Halloween post this morning. Two envelopes in one from Heather. It is an Artist in Seine mini-series! The day that I mailed yesterday's Halloween costume advice to Dean, this arrived. 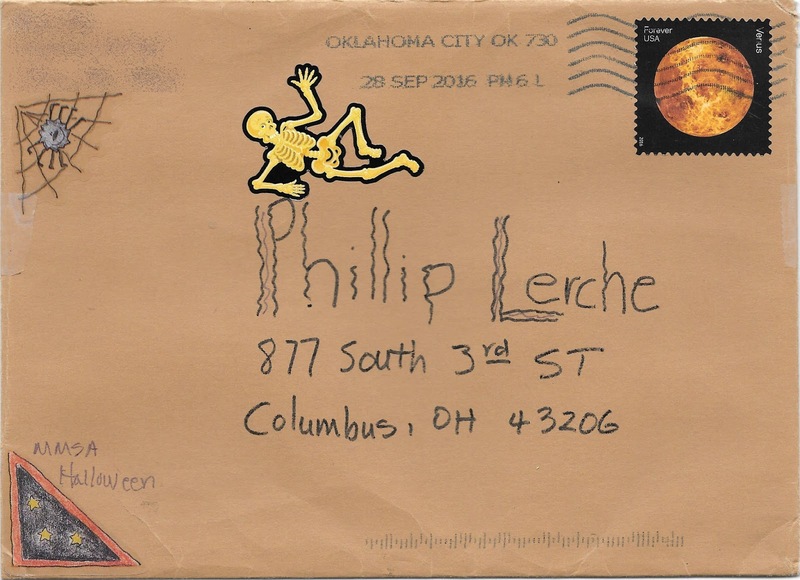 Envelope 501 sent out some time ago to Thom. 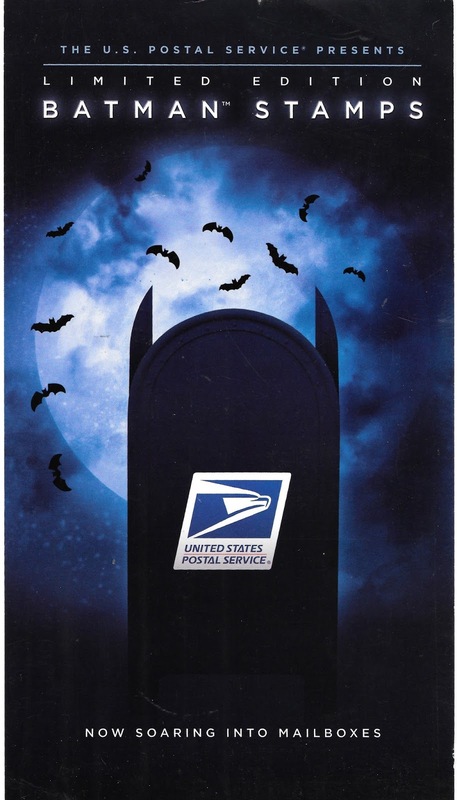 I've been hanging on to this post office promo since last year. 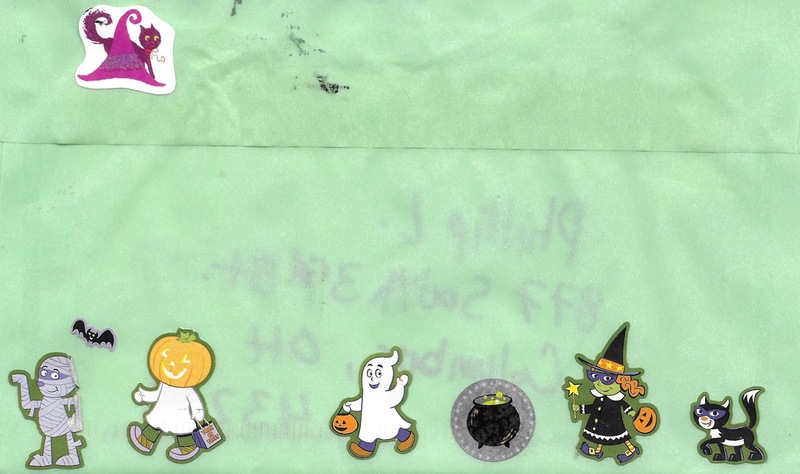 It arrived in a fun feline hand made envelope. 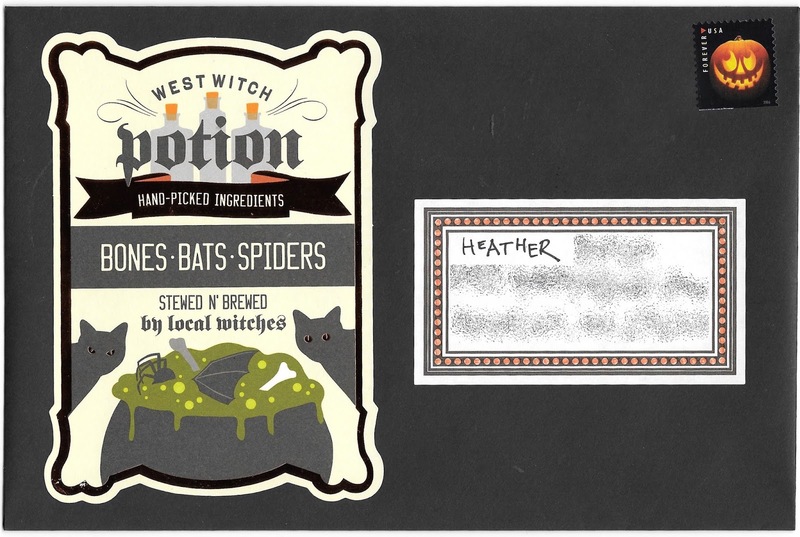 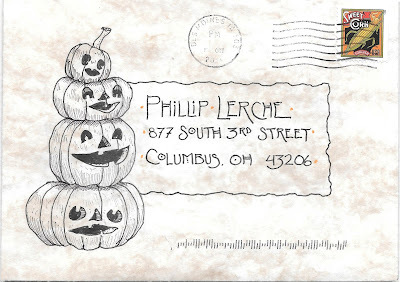 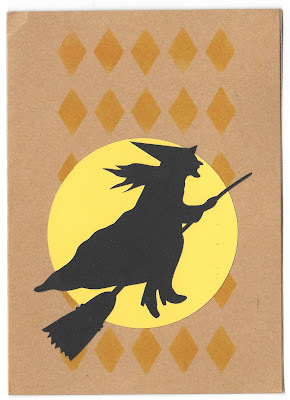 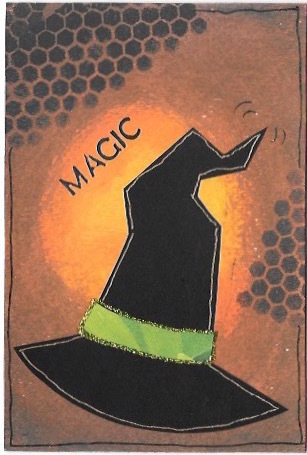 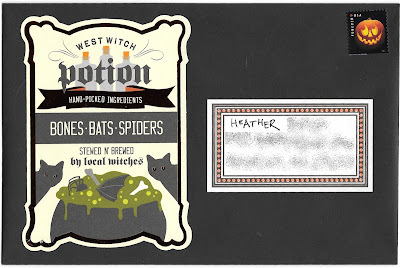 One of the new Halloween stamps from Sarah. 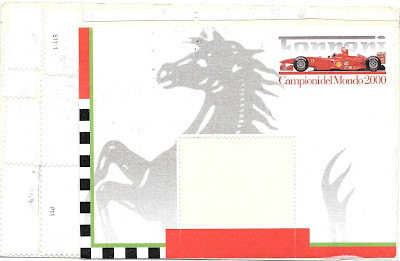 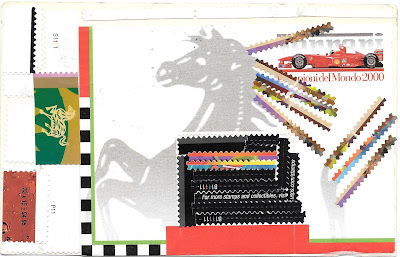 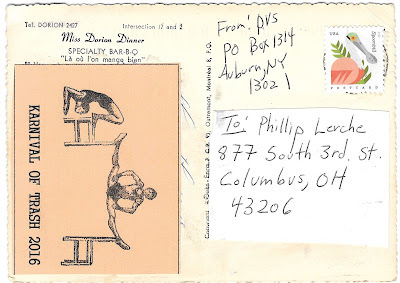 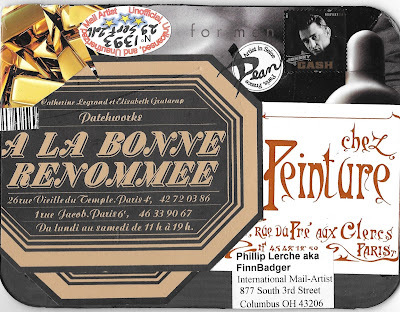 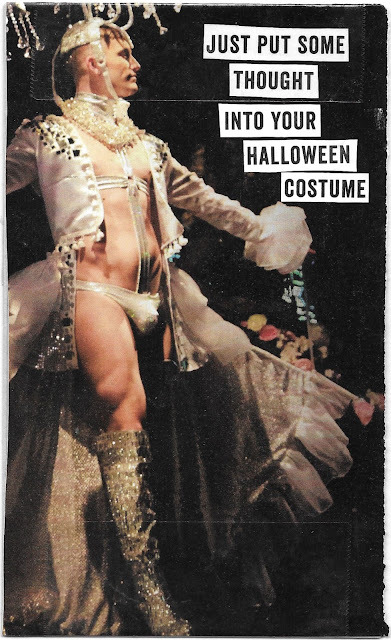 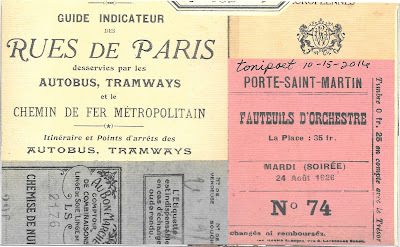 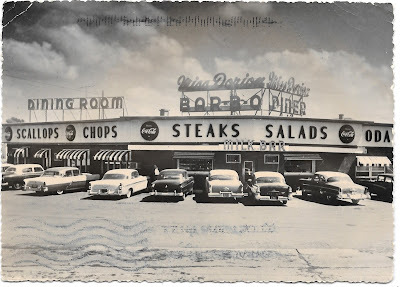 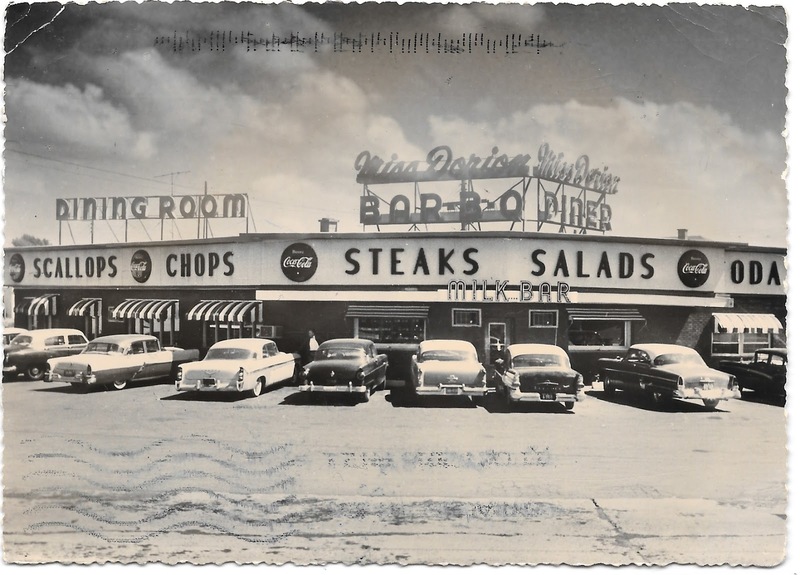 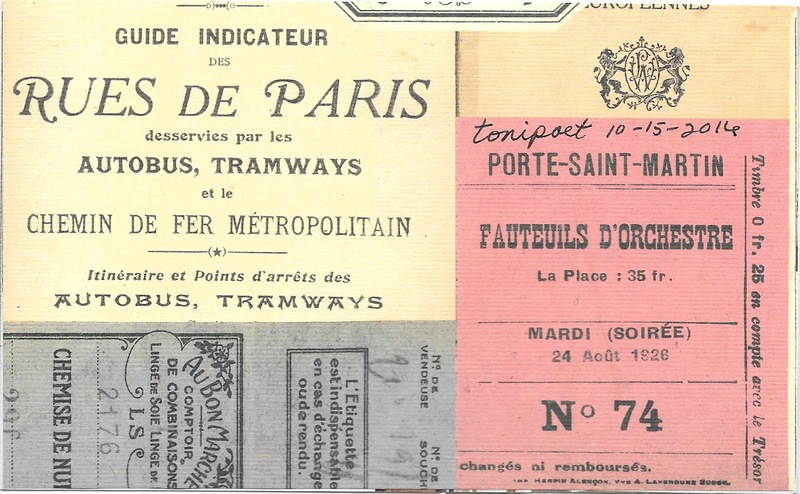 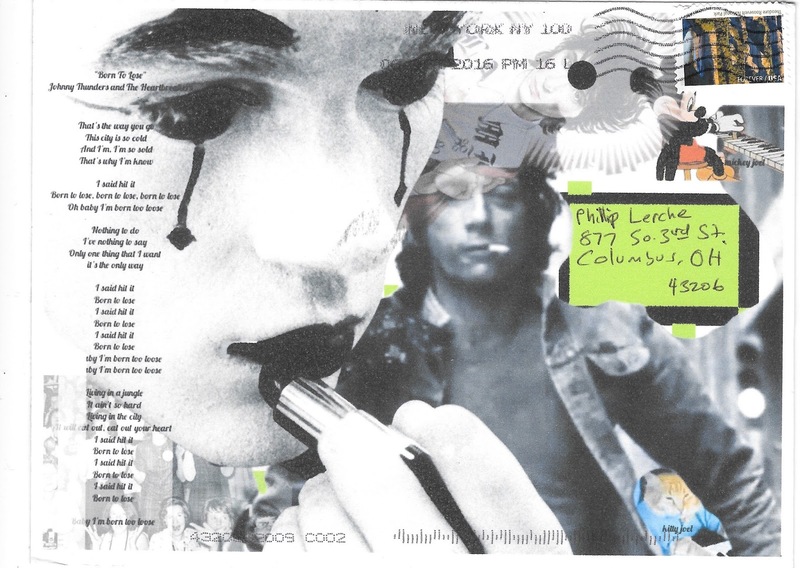 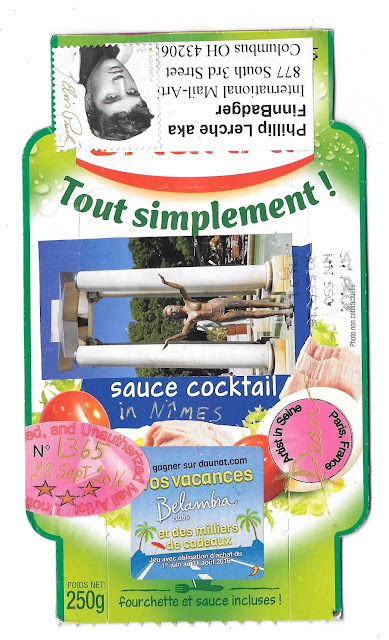 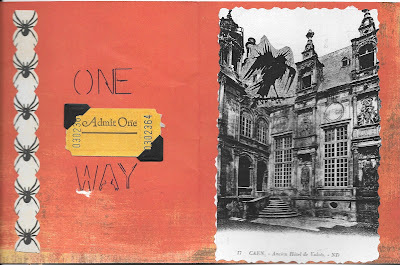 A vintage postcard from DVS to thank me for my Carnival of Trash submission. 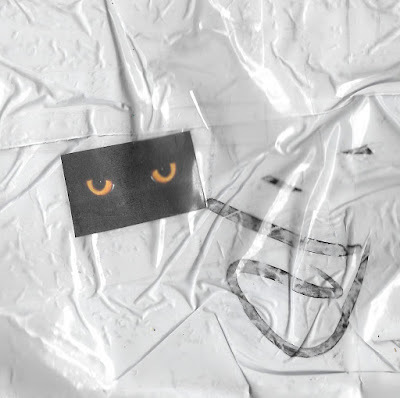 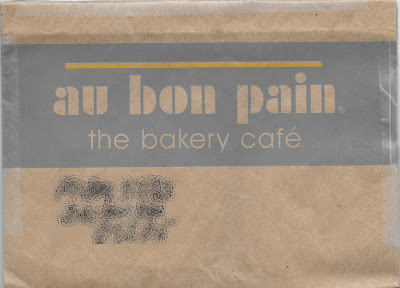 Cat's eyes on a package from Ellen. 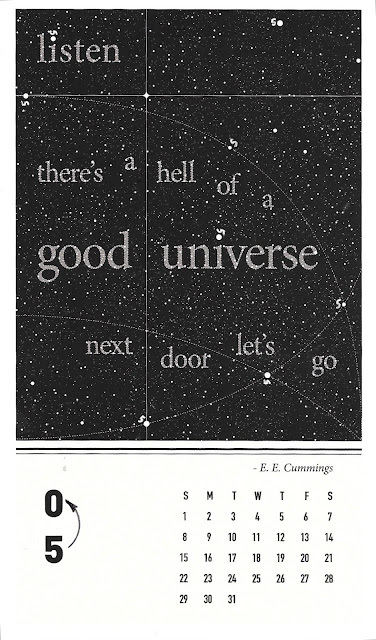 Another calendar page that made for a great part of Eric's fifty celebration. I love this bonus card from Dorothea. From Eva. 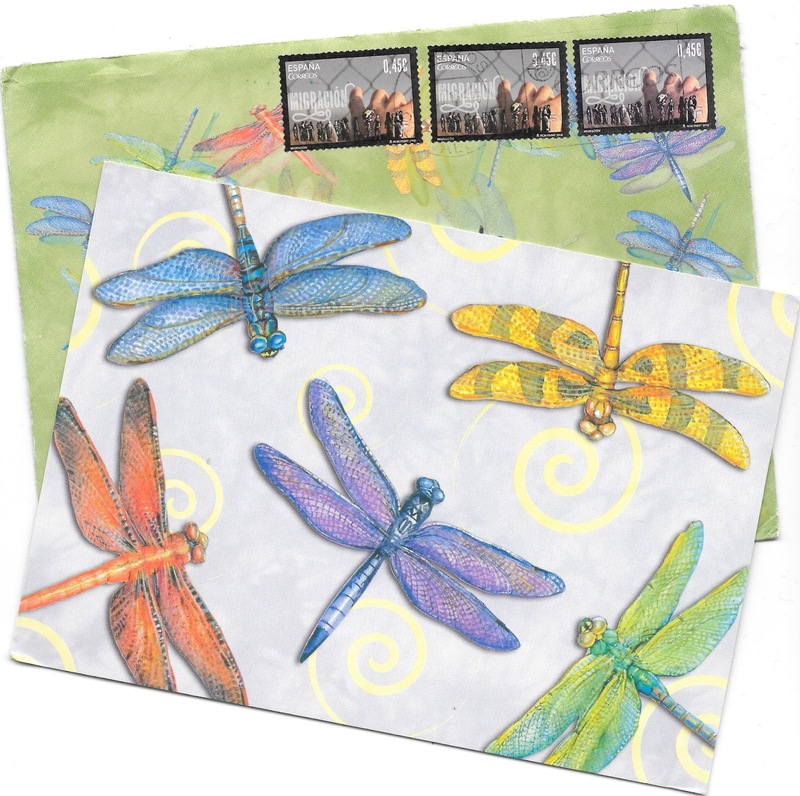 I think dragonflies are a highly underrated insect, so it was nice to see them on this card and envelope. 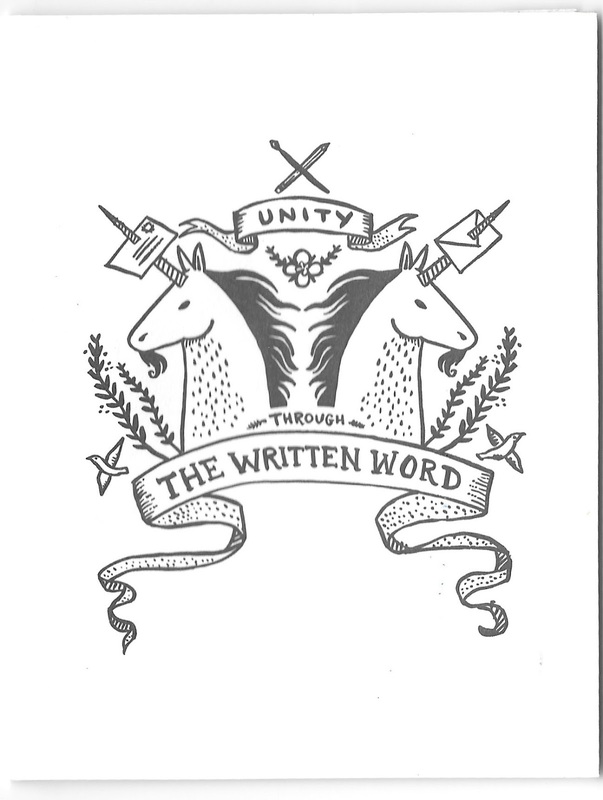 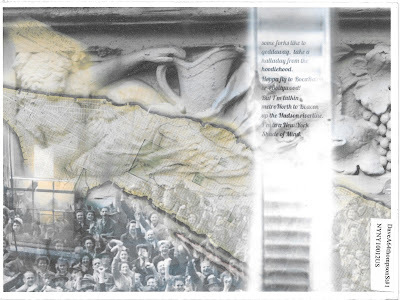 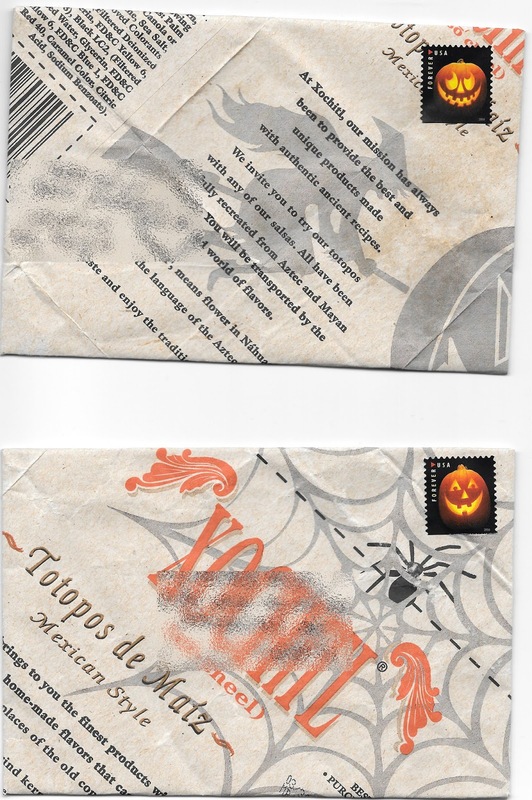 The stamps with the migration theme are fascinating. Fun green envelope covered in Halloween stuff from Colleen. 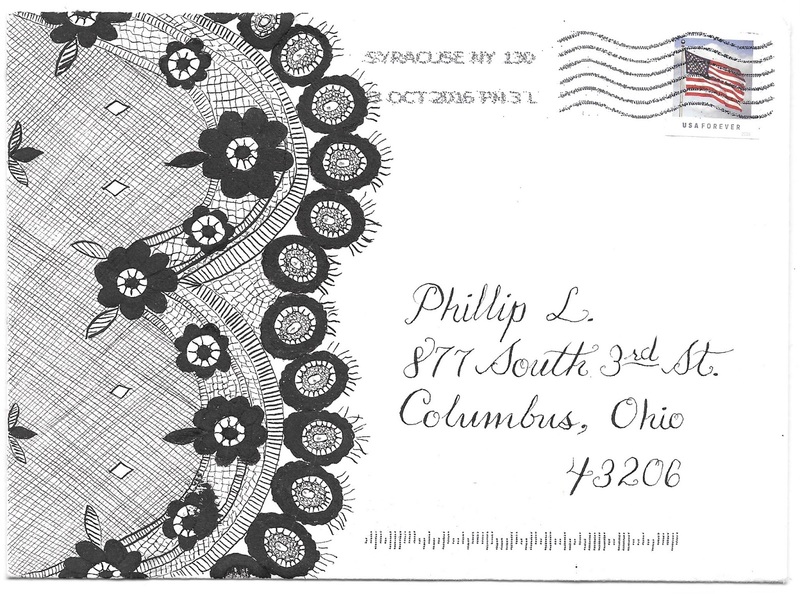 Look at the nice detail on this one. 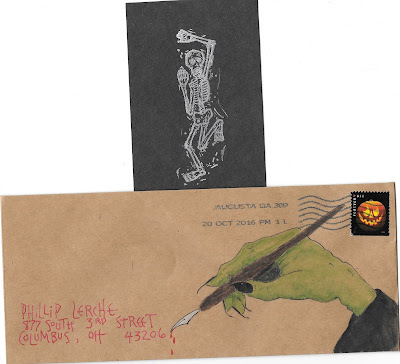 A great envelope and card from Rose. ...and here's the cool card inside. 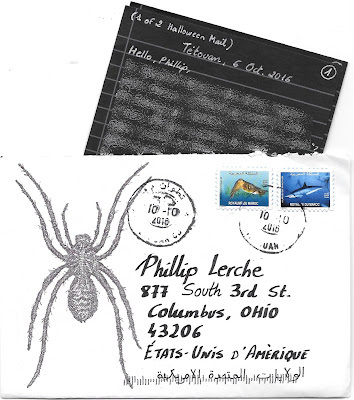 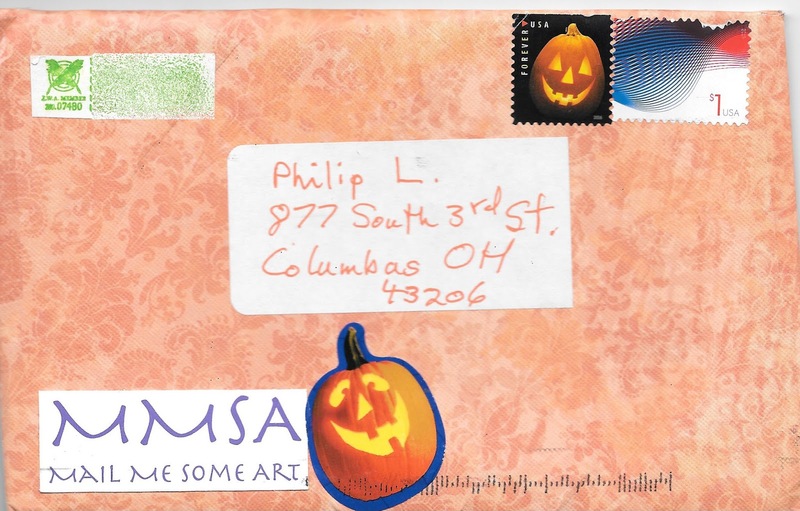 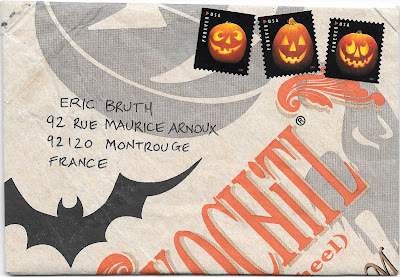 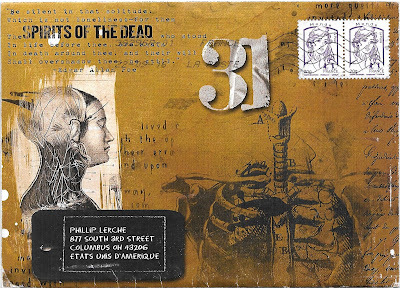 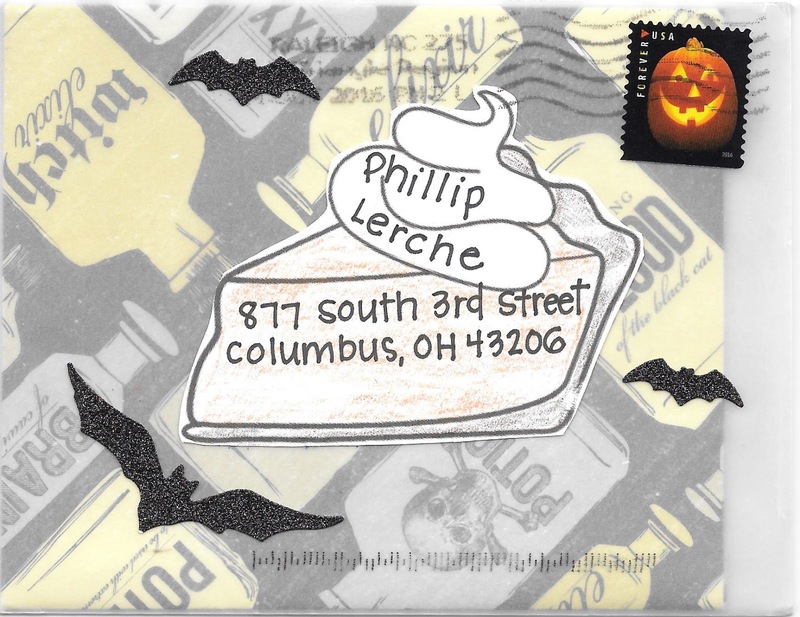 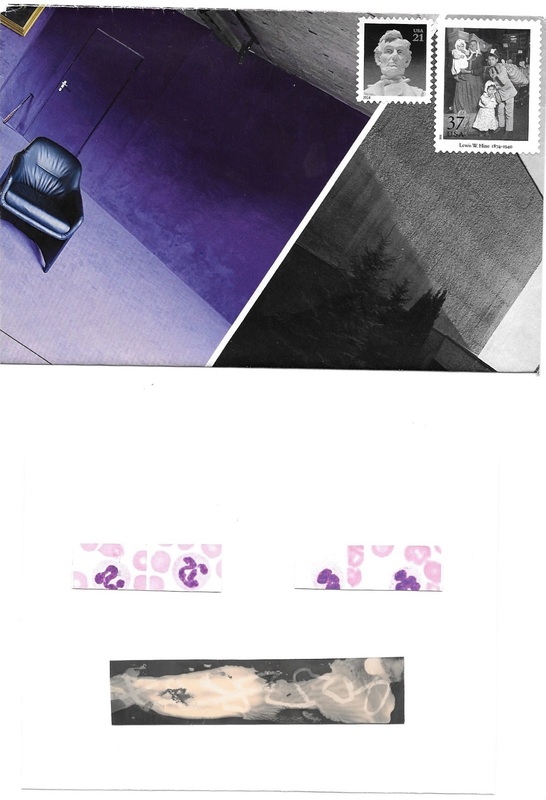 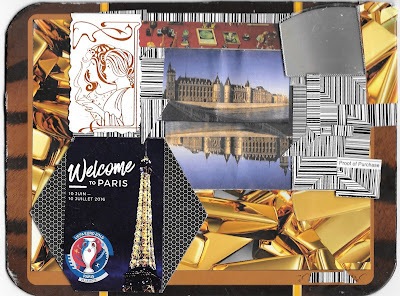 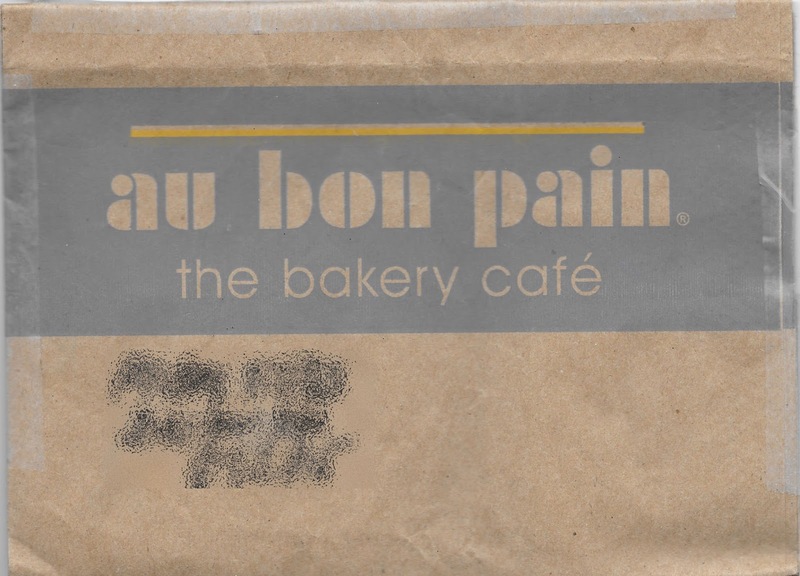 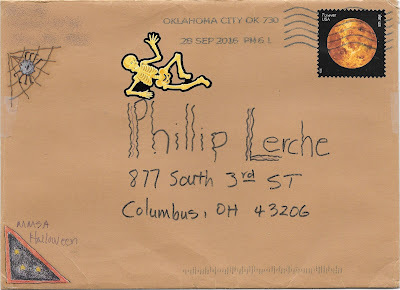 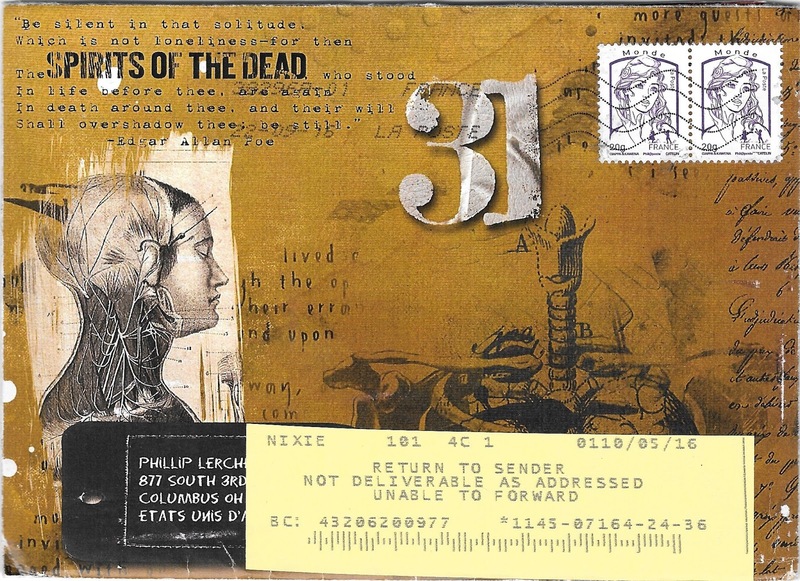 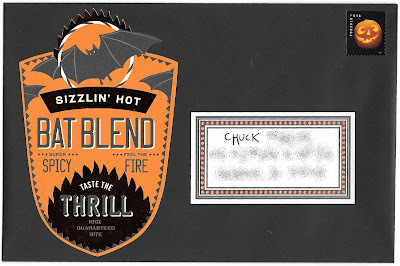 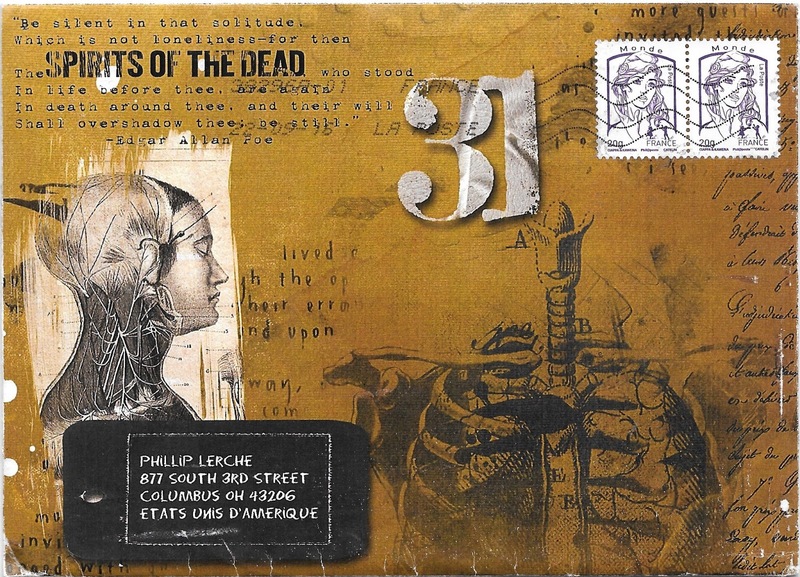 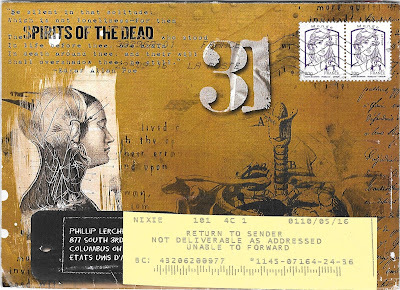 Eric sent his MMSA postcards in this spooky envelope. 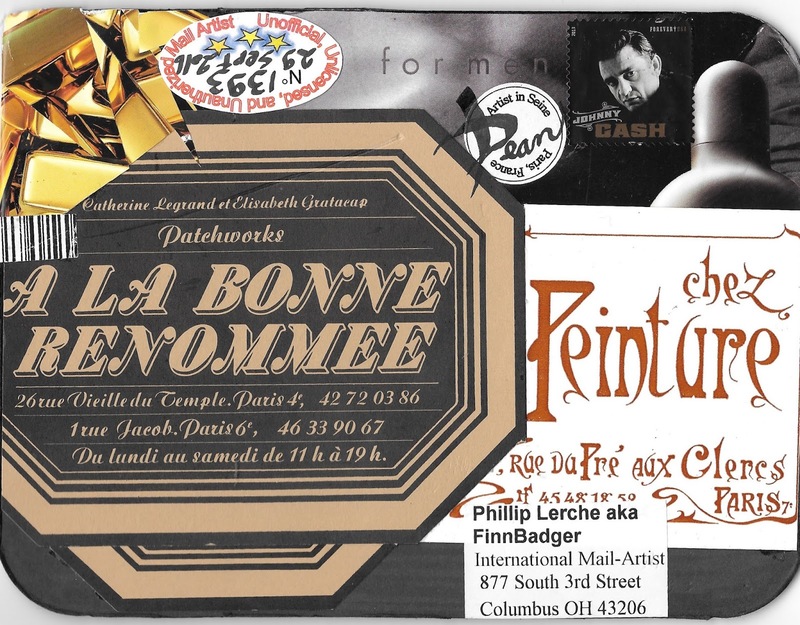 It was somewhat delayed - if you look closely at the big yellow nixie sticker, it says undeliverable, return to sender. Fortunately it was sent to me, rather than back to Eric. 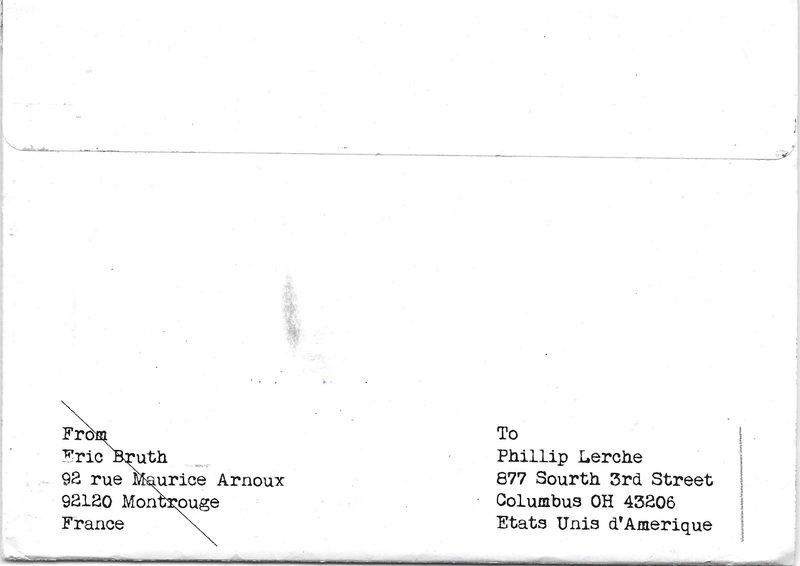 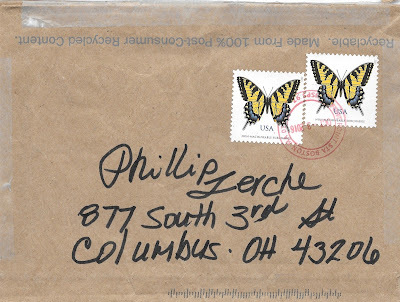 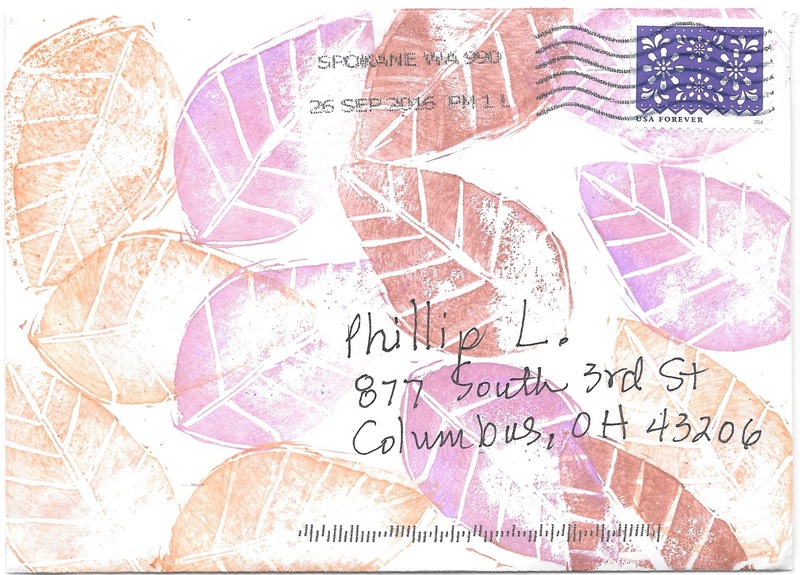 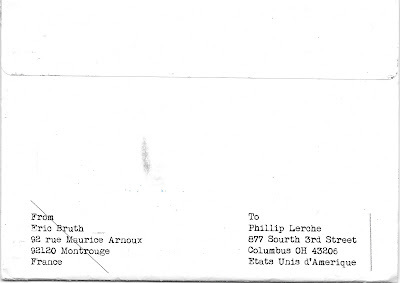 Patricia sent me one of her selvage project add and return cards. 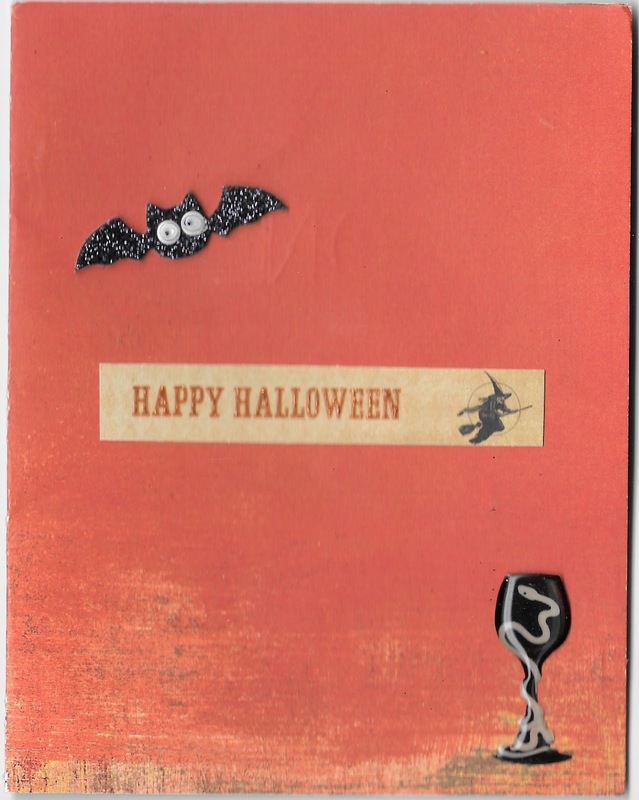 I added even more selvage! 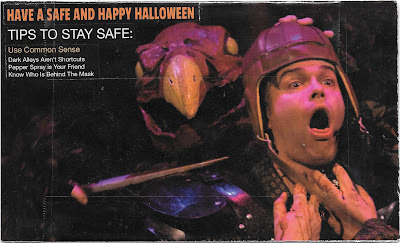 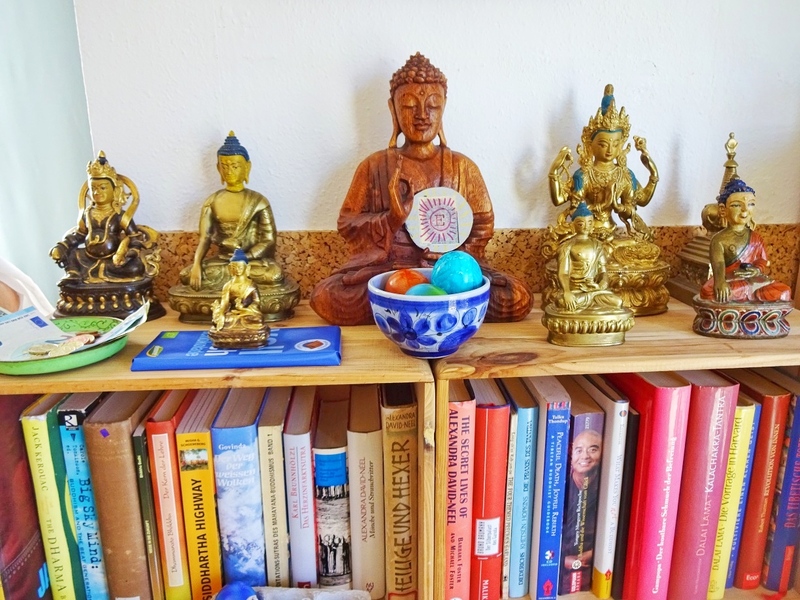 Be nice to books... and booklets... or else!